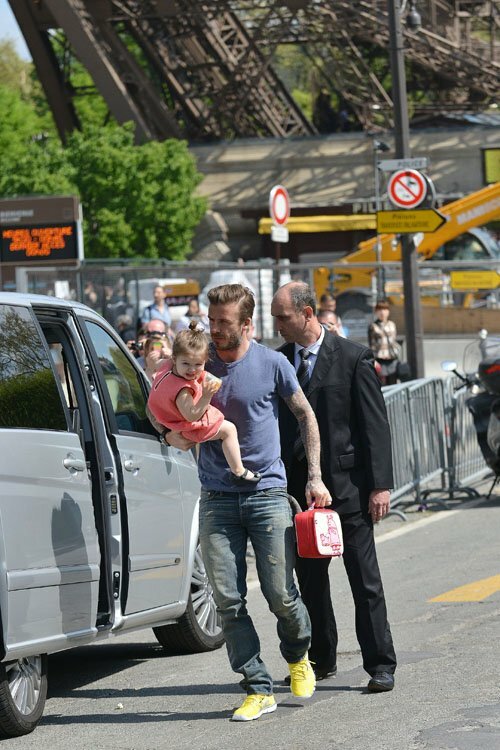 Spending quality time together, the Beckham family headed over to see the Eiffel Tower in Paris on Sunday (May 5). 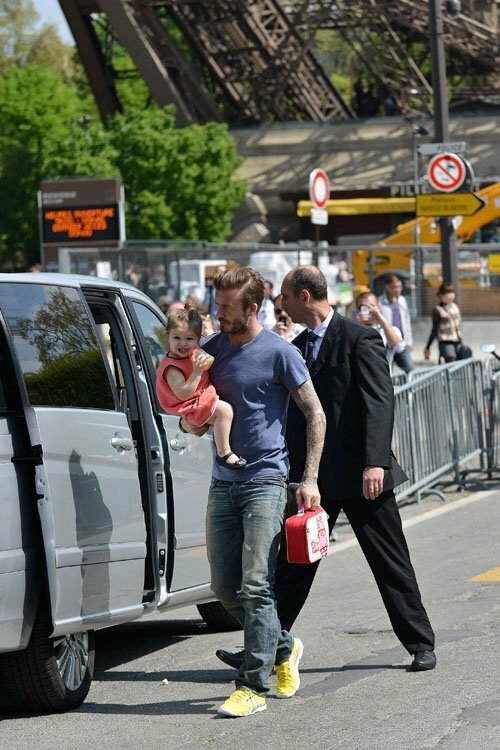 David carried his adorable daughter Harper, while Victoria led her boys Brooklyn, Romeo, Cruz into their awaiting ride. In related news, the superstar brood is reportedly on the hunt for brand new digs in London. According to the Irish Independent, David and Victoria are searching for a home in London with “ten bedrooms minimum”. “They’ve been happy renting so far, with Victoria spending most of the week in London with the kids while David stays in a luxury pad in Paris. But they’re feeling really settled back in Europe, and Victoria has expanded her business operation in London, so it makes sense to sort out a permanent move,” a source told the Daily Mirror. Enjoy the pictures of Victoria and David Beckham with Romeo, Brooklyn, Cruz, and Harper taking a trip to the Eiffel Tower in Paris, France (May 5).